How many of you did not get to vote in the Lok Sabha elections because you couldn’t find your name in the electoral list? While many people scrambled to register their names, a factory found itself in the list with its gender and father’s name specified. Pramod Goni a social worker who lives near the factory, says Printflex factory was registered under the electoral list of Constituency No 151 and Polling Part No 239 in Nagappa Reddy and Kushal (NRK) Layout in Mahadevapura. The factory is located on Nagappa Reddy Layout Main Road. The electoral officer listed ‘Printflex’ as the name of the voter, father’s name as ‘Yes Factory’ and gender as ‘Male’. This was just one of the errors in the list. The NKR Layout Residents Welfare Association noticed these errors when they obtained a copy of the electoral list from the Assistant Revenue Officer’s (ARO) office. Goni claims the error happened thus, during a conversation between an election official and the security guard of the factory. When the official asked the guard if the building was a factory, the guard replied “Yes, factory”. On asking him who the owner was, the guard said in Kannada, “ondu sir idhare” (There is one Sir). Goni, who is the General Secretary of the Association, says his name was wrongly listed under the Defence Research and Development Organization (DRDO) quarters. However, his name had been included correctly under Nagappa Reddy Layout list during last year’s Karnataka Assembly elections. The Association decided to take matters into their own hands. Members including the President, Metri Mallikarjuna, Vice President B L Krishnamurthy, Organising Secretary P Vinodh, Annie Pramod, Vasanthi K Murthy, G Sathyanarayana and Goni, set out to verify the list. Most of these members work as full time employees in different companies and they helped out in this exercise after work hours. “When the community is actively involved, it won’t take much time. Somebody just has to explain the process properly. We wanted to make the voter list for one polling booth error-free. This should be a model”, says Goni. The Association put up two banners asking the residents to check their names on the list. They even included contact details of two of their members who could be approached for the same. They personally visited the houses and verified the documents submitted by them and helped them in filling forms with proper proof. “It was not a political exercise”, Goni says. “Everyday between 7 PM and 9 PM we met and helped the residents fill forms 6, 7, 8 or 8A. We even distributed pamphlets asking them to vote”, explains Goni. Goni and his team then took the corrected list to the CEO’s office. The CEO gave responsibility to the Tahsildar Elisha Andrews who appointed a person to do the survey in the area and correct the list. The Association members requested the officer to give them a checklist before printing the final list. On 22nd March a team from BBMP (Revenue Inspector, Assistant Revenue Officer and tax collectors) along with the Association members went house-to-house to verify the applications. A checklist was provided after three days. “There were 385 names totally. Twenty nine names were missing. We again met the officials and asked them for the reasons of the missing names. We were provided with a rejected list with reasons”, Goni explains. The Association requested the RI to give them two hours time to check with the 29 people whose names were rejected. Finally, on 9th April, 19 more names were added to the final list. The remaining were rejected because of invalid documents. Andrews says the Association was excellent and meticulous in their execution. “This is what we need. We need this kind of support”, he says. Ask him about the reason for errors on the voter list, he says, “This would have happened because of some error due to oversight at the level of manuscripts entry or data entry to computer software”. Goni says, “We didn’t talk roughly to the officers. They were very co-operative and friendly. We put facts and figures before them”. The Tahsildar contacted them frequently to check the progress. He explains that the errors are not the fault of the Election Commission or the ARO. They outsource this work to some agency, that agency needs to be held responsible, he says. Even on the day of the elections, some of the members sat near the polling booth to help voters in case they couldn’t find their names. Goni says the EC website states that the voter turnout for this polling booth was 37.84 per cent. He says this number is low because many names were incorrectly listed under the neighbouring polling booth . “We will correct this for the ward elections”, he says. Despite their exercise, Goni says some people could not vote. He narrates the instance of one of the residents, an engineer at ISRO who took leave from work to submit his application. “When we approached him to submit the form to us, he said he had already submitted the form and didn’t want to do it twice. But on Election Day, he still couldn’t find his name on the list”. Other than Goni, individuals in the community could not be reached for their comments. The Association is now planning to take this initiative forward for the council elections. They are looking to take up an entire ward with the help of volunteers and spend two to three Sundays on this work. Goni says that the Joint Chief Electoral Officer B V Kulkarni has requested them to work as a team, asking for 7000 volunteers for this purpose. Ask them what they learnt from this exercise and quick comes their reply, “There is a lot of self satisfaction. And you create a network of residents to work together and build a safe, stable and just society”. Andrews says that this is not the end but just the beginning. “The exercise is huge. To make it more efficient, we need the help of the citizens. It will enhance the efficiency of deliverables in terms of quality”, he says. Bangalore Schools’ Parents Association wants government to involve them and make them a part of the implementation panel on child safety rules. 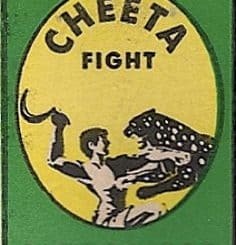 Before television took over the lives of children, trading matchboxes for the artwork on the labels was a way of life. This is an example of how positive particiaption of citizens will bring positive reaction from the governments. Citizen groups need to work apolitically and should refuse political acivism and that will bring a lot of credibility and accountability. Good on you. Good to see public acting over the errors in the system! And i am surprised to look at the support being extended to them. Way to go!I wish Mr. Goni and the association all the success for this voluntary act. I just hope Government will take Proactive steps to make the system error free; rather than facing people reacting to the situation!